During the cold winter months most of our body heat escapes through the top of our head. It only makes sense to stay as warm as possible by placing a warm fleece hat or cap on our head in order to say comfortable. 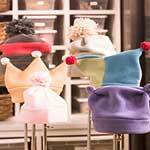 Keep loved ones warm this year by sewing a fleece hat or cap to fit their style and personality. 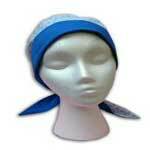 Your daughter might love a hat and matching scarf, maybe a hood scarf for your son, cool fleece hats for teens, plus others. 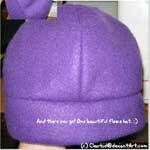 Take your time browsing through all the fleece hat patterns below and you are certain to find one or several just right for family, friends and for yourself. 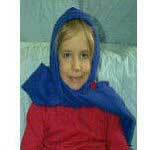 Sew polar fleece into a hood and scarf in one; really cute and warm. 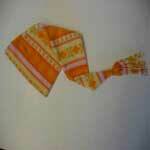 Here are several free hat patterns for chemo patients. Warm their heads and hearts with this fuzzy fleece hat and scarf. With a few simple guidelines, you can make this cap to please your taste. 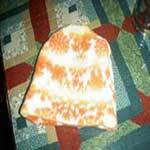 Make this warm, cozy hat in just an hour or two. It's a great way to use up your fleece scraps. 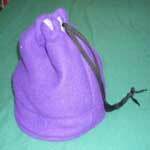 This is a fleece hat that converts to ear muffs or a neck gaiter. This is a easy to follow pattern along with a list of all the materials needed. 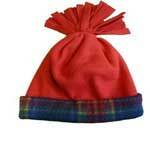 Polar fleece is an excellent winter fabric; it's soft, lightweight, durable, and machine-washable. This tutorial is easy to follow and has nice, colorful pictures.